Please see Freedmen’s Bureau Project for information and videos on a wonderful family history project. The site will show a special June 19th broadcast from the California African American Museum in Los Angeles. 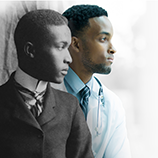 Speakers and music will accompany the announcement of an exciting opportunity called the “Freedmen’s Bureau Project” to help African-Americans connect to their Civil War era ancestors through indexing and restoring the records of millions of freed slaves. The speakers during the broadcast will outline how groups and individuals around the globe can help with the project. I indexed for the 1940 Census but can’t remember how to get started. I would like to assist with the Freedmen’s Project. The prompts listed didn’t work for me. What must I do? I never met any of my grandparents. My parents have passed away. My dad would be 95 and my mom would be 93 this year. I don’t know much about my grandparents only that they grew up in slavery .. I would love to know about my family my mother Maiden name is Alice G. Mourning from NC and my dad’s name is Willie R Griggs from VA. if I can find out anything about my grandparents, I will forever be grateful. Does the 1930 Census record with a birth year of 1922 and parents named Albert and Louise fit? Hopefully you got my earlier e-mail. Try the link again or go to http://www.familysearch.org and select indexing projects. I would love to learn how to index those records, i have indexed so far this year 32710 records for Family Search, but do not know how to do your records. If you can email me back and tell me i would appreciate it very much. Thanks for all your work! See the US Freedmen Bureau projects to help with indexing. More information is available on http://www.DiscoverFreedmen.org.